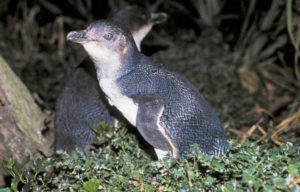 Shearwaters or tītī once bred on much of the New Zealand mainland. 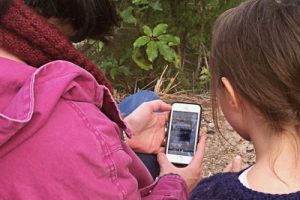 Soil samples from Canterbury farmland still show the legacy of marine nutrients that these seabirds deposited in what was once their nesting colonies. Today only a very few colonies, of the largest species, have managed to survive with predators on the mainland. 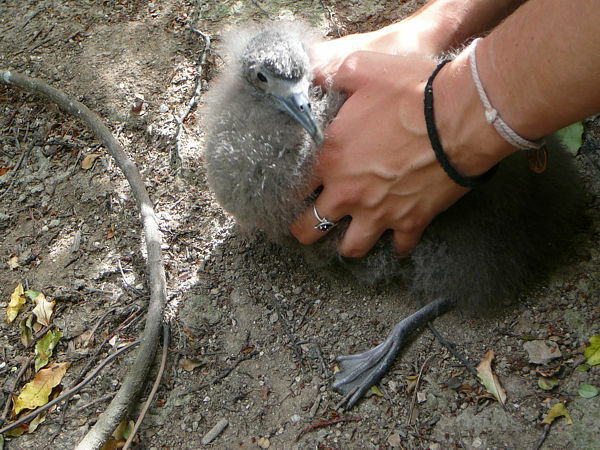 This is in contrast to the huge colonies of sooty shearwater that flourish on predator-free islands such as the Snares or the million pairs of fairy prions that breed on Takapourewa (Stephens Island). 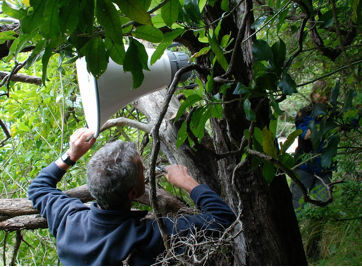 Pete Gaze installs the speakers while Ingrid Hutzler sorts the cables. I am not aware of any seabird colonies that existed on the mainland of Abel Tasman National Park although it is likely that they did. All we know for certain is that a very small colony of sooty shearwaters (and possibly fluttering shearwaters) still survives on Tonga Island. This in itself raises questions: if predation is the key limiting factor, why is the Tonga colony not much larger and why indeed is there no colony on Fisherman Island, which we think has never had rats or stoats? Sooty shearwater breed in small colonies around Golden Bay and in the Marlborough Sounds, with the last mainland colony in the region now down to just a few pairs. Perhaps there are other limitations such as food availability, either in local waters or encountered on their annual migration around the Pacific. 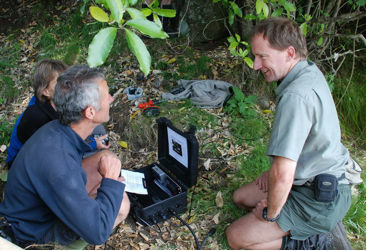 Fluttering shearwater are more common, indeed flocks of many thousands are seen along the Abel Tasman coast each year.Can Project Janszoon do anything to restore the breeding colonies we think would have been here before? 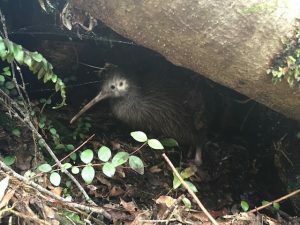 Removing predators from the mainland may not be enough, how are the birds at sea to know that this wonderful safe habitat is theirs for the taking? In an effort to advertise this nesting real estate we have installed a speaker system on one headland, playing their calls each night in the hope that birds looking for a colony will be lured in. This site is monitored by security cameras so we can see if there is any interest (so far only a possum and a courting couple! ).It’s a long shot, but one that’s worked elsewhere. Mike Ogle of DOC, Pete Gaze and Ingrid Hutzler seem confident they have the technology right. Re-establishment of these colonies would not be good just for the birds but for the whole community of plants, invertebrates and lizards that thrive in such nutrient rich environments.